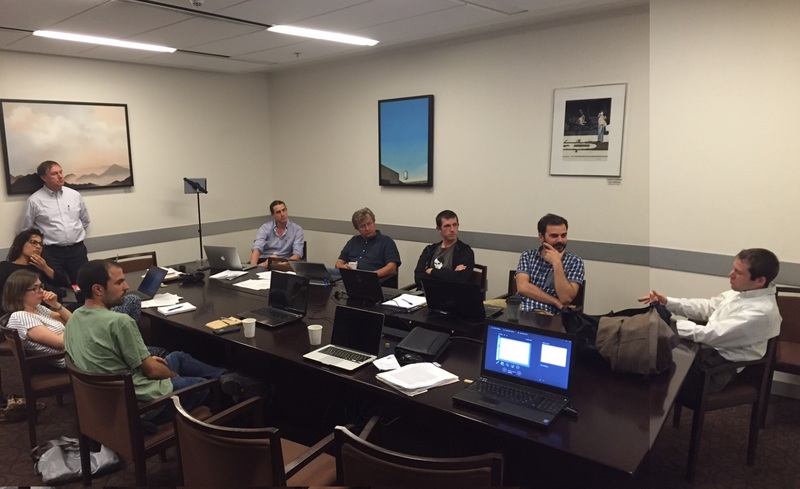 Editor’s Note: This post, which originally ran on the University of Saskatchewan’s HGIS lab site, is part of a series showing the work of the Sustainable Farm Systems project. In February I escaped the frigid Prairie winter for three days of meetings (and some sun) in Tempe, Arizona. On February 17-19, Josh MacFadyen and Arizona State University hosted a nine-member energy working group of the SSHRC-funded Sustainable Farm Systems (SFS) project: From left to right: Juan Infante Amate (Universidad Pablo de Olavide, Carretera de Utrera), Joshua MacFadyen (Arizona State University), Inés Marco and Roc Padró i Caminal (Universidad de Barcelona), Simone Gingrich and Fridolin Krausman (Alpen-Adria-Universität Klagenfurt), Geoff Cunfer (University of Saskatchewan), Eduardo Aguilera (Universidad Pablo de Olavide, Carretera de Utrera), and me (University of Saskatchewan) – not shown, because I took the photo! The purpose of the meetings was to discuss several articles on energy transitions in agriculture that will be collected in a special issue of the journal Regional Environmental Change, edited by Simone Gingrich, Eduardo Aguilera, and Geoff Cunfer. The group shared findings on individual case studies, considered outstanding methodological issues, and developed broad conclusions from a comparison of seven representative case studies in Canada, the United States, Spain, and Austria. Regular meetings are difficult between so many people separated by distance and time zones, and working on a large, international, and inter-disciplinary project presents certain intellectual and professional challenges that are only worked out when members can spend time together to share ideas in person. This two-day workshop therefore provided an opportunity to advance a particular set of research outcomes, while at the same time identify larger goals for the project over the coming year. The SFS team has met several times since the project began in 2012. In the early meetings, members from the various teams worked together to develop a comparative methodological framework for quantitatively evaluating the energy transitions in Western agriculture during the nineteenth and twentieth centuries. Since the project includes case studies from North America, Europe, and South America, these early meetings involved long discussions of the methodological considerations necessary to comparatively evaluate how and why agro-ecosystem energetics changed over time. 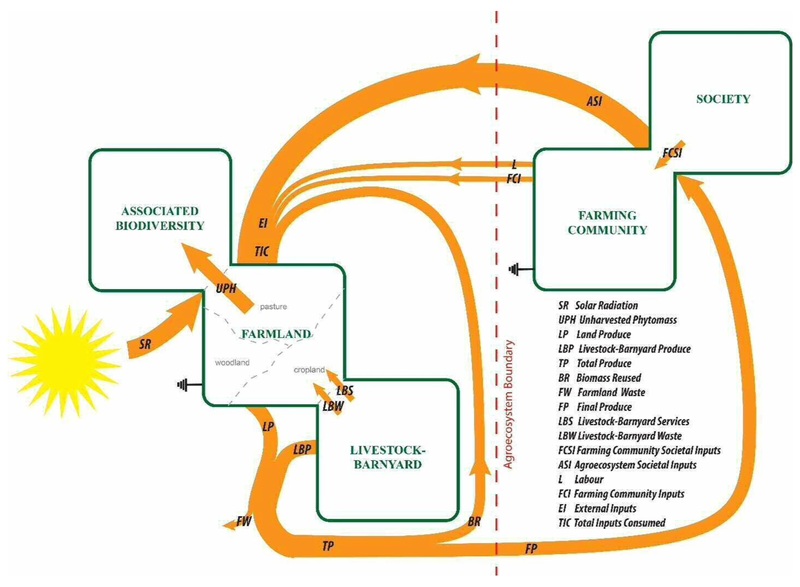 From a farmer’s perspective (or from the human perspective more generally, since this approach is useful for analyzing the energetics of any socio-ecological system), what mattered was the energy return on investment. Or, in other words, in order to harvest a given amount of energy from the land, how much energy did a farmer need to first invest? Yet, studying the energy flows of past agro-ecosystems involves much more than simply the balance between the resources that farmers put into the system and the outputs they took out. From the environmental historian’s argo-ecological perspective, doing so reduces the farm system to a black box within which the dynamics between cropland, pastureland, woodland, livestock, and farmers remain unknown. Understanding the environmental and sustainability in his or her land demands that we know as much as we can about the inner workings of the farm system. As the kind and amount of energy invested into the agro-ecosystem changed over time, farmers not only increased productivity, they also switched between crops, reduced biodiversity, reordered the landscape, broke free of certain ecological constraints, diverted a growing share of biomass to livestock, and generated byproducts the ecosystem could not process. The transition from traditional organic practices to industrial processes involved dramatic increases in both inorganic energy inputs (fossil fuels, chemical fertilizers, pesticides, etc.) and final marketable produce (crop yields, units of livestock, etc.). But to understand how this transition shaped the functioning of the agro-ecosystem and its sustainability over time, we must consider the ways that energy moved through, and looped back into, the system. 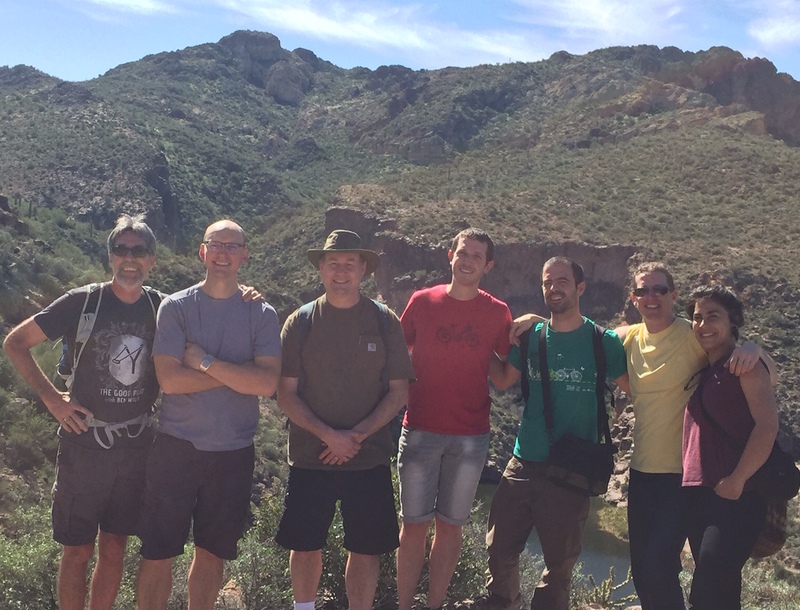 Although small refinements are made occasionally, at the time of the February meetings in Tempe, each SFS team was using the same social metabolism methodology to analyze changes to the energy return on investment in past agro-ecosystems (Figure 1:). The meetings were therefore an opportunity to workshop article drafts on individual case studies, consider a handful of outstanding methodological issues, and discuss the important points of comparison between the main case study areas in Europe (Austria and Spain) and North America (Canada and the United States). The working group also benefited greatly from the feedback by Christopher Jones (ASU), a specialist in energy history, who joined the group for one of the morning sessions to provide suggestions and pose provocative questions for the group to consider as we move towards publication of the special issue.Finally, after so much sitting, on February 20, ASU environmental historian Paul Hirt guided the group on a wilderness hike through the giant saguaro cacti in the breath-taking Superstition Mountains northeast of Phoenix. This meeting represented an exciting moment for the SFS project. After several years of working to develop a common and comparative approach to quantitatively evaluate changes to agro-ecosystem energetics, members from each team have prepared rigorous and methodologically coherent individual and comparative case studies. When combined, these articles will provide historians of the environment, agriculture, and energy with important new insights into the history of agricultural energy transitions during the nineteenth and twentieth centuries.